I apologise in advance for the lack/quality of photos in this post. 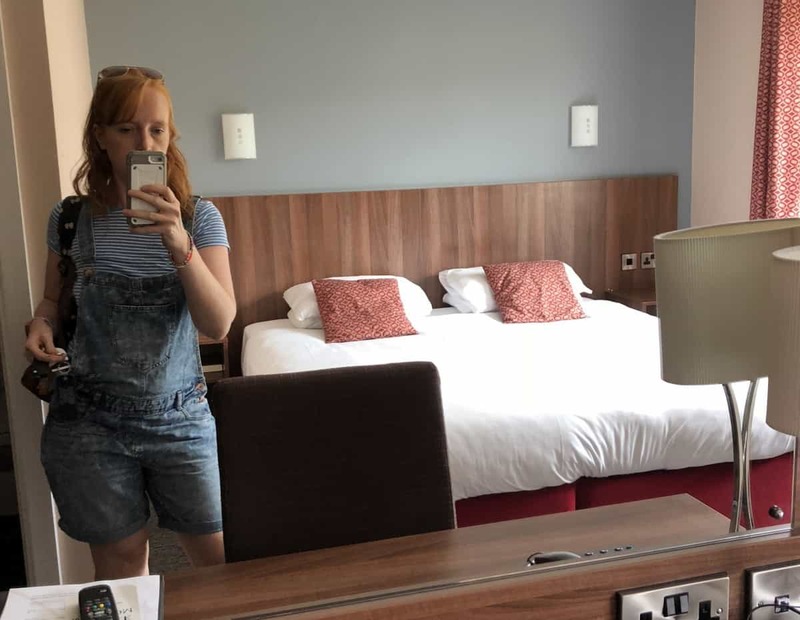 I completely switched off from blog mode for the week (apart from catching up on some work) and didn’t think to take decent photos of the hotel and facilities BUT I really wanted to write about this experience – so excuse the photos! A few months ago I decided to do something completely out of my comfort zone – I decided to learn to swim. I looked everywhere for a course and ended up deciding on a residential course away from home. I knew if I did regular lessons at a local pool or even an intensive course somewhere local I wouldn’t be able to focus on swimming – I would do the lesson and then forget about swimming until the following lesson. 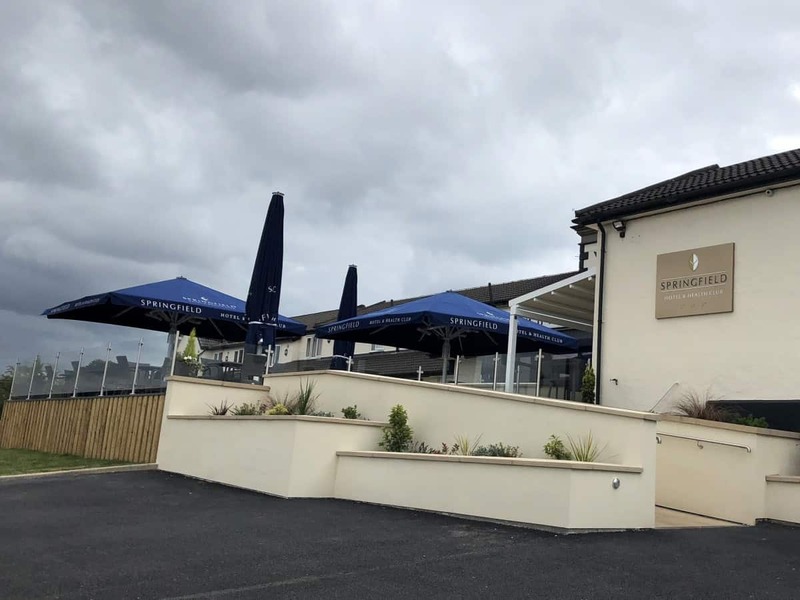 So, instead, I found what I think is one of the only residential swimming courses in the UK – Swim Inns at the Springfield Hotel in Holywell, Wales. Swim Inns have a five day course in small groups that runs throughout the year. Alternatively they offer private lessons on a one-to-one basis. 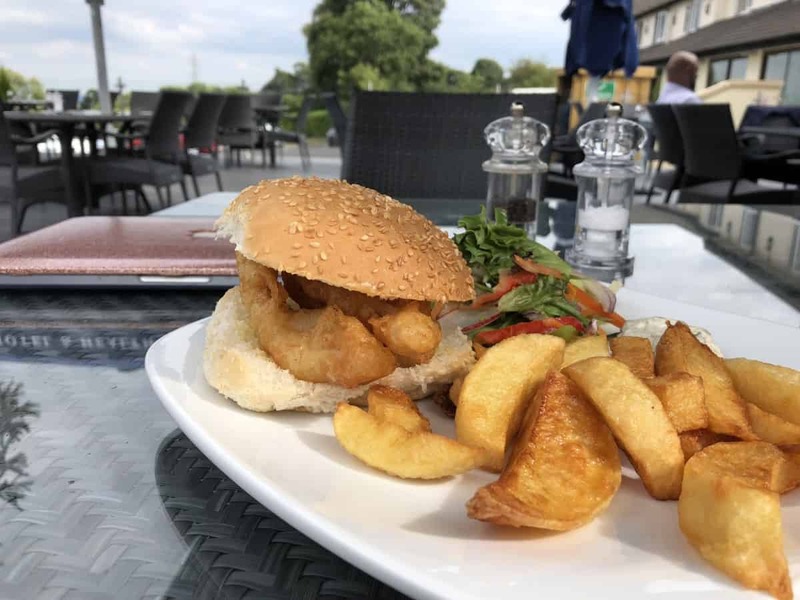 The residential course includes bed and breakfast – and you can even pay a supplement to have someone else stay at the hotel with you if you want to. I arrived on the Sunday afternoon, ready for lessons to start on the Monday morning. The Springfield Hotel is three star but lovely. It’s family run with amazing views and had everything I needed for the week – included really good quality wifi. My room was really comfortable, I had tea and coffee making facilities and the bathroom was nice and modern. Plus, my room was spruced up each day – a lovely novelty of staying in a hotel. Breakfast each day was a cooked and continental buffet. It was all fresh, well cooked and a great way to start the day. Plus, we had access to the pool from early in the morning until the evening – perfect for swimming practice. The lessons started at 9:30am and ran until 11:30am – it was the same each day but it finished at 10:30am on Friday – giving us extra time to check out and head home. The first lesson was also our introduction to Steve, our swimming instructor. He was so friendly and we could tell instantly that he knew what he was doing. He has over 20 years of experience as a swimming instructor and throughout the course he taught us so much – it wasn’t just the swimming strokes and what to physically do in order to swim but also about the science behind swimming. It was so educational and I felt at ease right from the start. I was in a group with four other people and we all had varying swimming abilities but we were all very much in the ‘I can’t swim’ camp. Our age range was from about 30 to 60 – and we were all just normal people who had got to the point, for whatever reason, of really wanting to swim. The first lesson was mainly about building confidence. Steve spoke to us a lot about science and gravity – and about how water really wants you to be at least partly out of it – and how it’s actually really hard to sink in water. We spent time putting our heads and faces under the water, holding our breath and floating. It was really simple stuff but it showed us all how to be calm and confident in the water and was a great start to the course. The day ended with us being able to glide from one side of the pool to the other with our faces in the water and after that I felt amazing. I could get from one side of the pool to the other pretty gracefully and I could put my head in the water without panicking. I felt like I had come so far and, more importantly, I was finally happy in water. The second day was spent with us learning basic breast stroke – and we learnt how to do breast stroke legs properly later in the week. We went from doing breast stroke with our head under the water to doing it with just our mouth under the water, to doing it with our face completely out of the water. The next day taught us how to push off from the side of the pool properly – putting our faces into the water, arms in front of us and doing a little kick up and then off the wall as the water brought our body up. From there we learnt to go into a front crawl, keeping our faces in the water and doing a length of the pool. At every stage we learnt the science behind the stroke and about what our bodies would do if we moved in a certain way – if we put our head down then our legs would come up, if we put our head up then our legs would go down. Learning the theory and then putting it into practise really helped reinforced the learning and I really felt like I learnt so much through the week. On Thursday we learnt how to swim on our backs in elementary backstroke which must be one of the most relaxing things I have ever done in water. We were told that this stroke is a great way of having a break and getting your breath back and I know I could happily go some distance on my back like that. We also learnt how to stop swimming and stand up from being on our front and back, how to change direction or move between strokes in the pool and Steve even showed us things like forward rolls and cartwheels – but I’m quite far from doing those at the moment! The last morning was spent putting everything we had learned together – doing lengths of the pool first in breast stroke, then in backstroke, then front crawl and then backstroke again. At that point I was just so proud of myself – and the four other learners on the course. We all did so well – and we had all come so far in those five days. I really was an incredible experience. The last thing Steve taught us was how to breathe properly during front crawl – by rolling from our fronts towards our back like proper swimmers do. Steve made it look so simple and by the end of the class we had all managed it – and now we just need to practise it. My week at the Springfield Hotel has changed my life. It has made me open to being in water – and even happy in water. I’m now looking forward to swimming lengths at the gym, to going on holiday with the children and being in the pool with them and even going snorkelling with them at some point. I am at the point where I know I can float. I know I can swim at least a few lengths before getting tired – and that I can do backstroke at that point to rest a while. I know that I won’t drown and I am really excited for a future that has swimming in it. 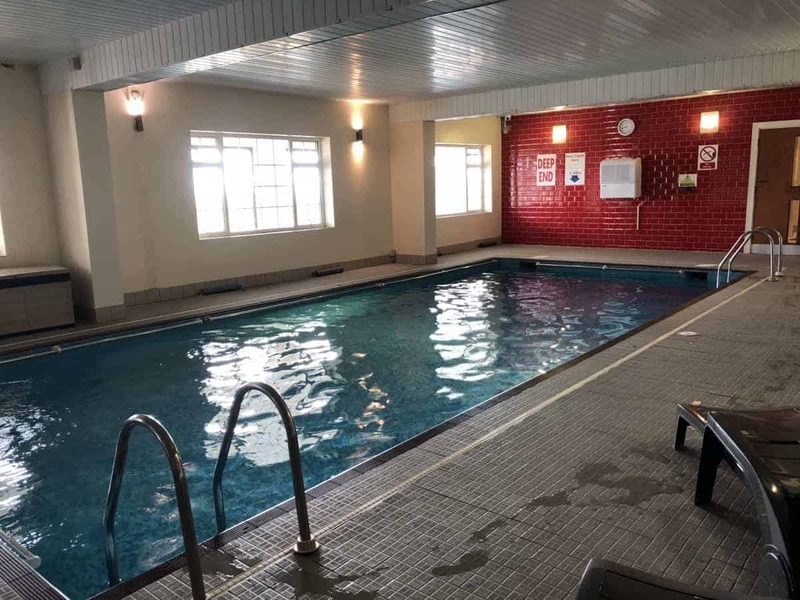 The Swim Inns swimming course costs are as follows: Single swimmer £399.00, Two swimmers sharing a twin or double room £599.00, Single swimmer and non-swimmer sharing a twin or double room £499.00. The hotel provides a towel each day and we were given googles if we didn’t have them. You can find out more over on the Springfield Hotel website. Thank you for sharing, I enjoyed following your progress through the week and I wanted to say really well done for going for it, you’ve done brilliantly! Brilliant! What a great thing to do and what a great way to do it! I’m just pushing my comfort zone by learning to run at last. It is so good to keep challenging yourself and you get so much out of it! Well done you! It sounds like you learned a lot and gained so much confidence in the water. I would love to do something like this. I can swim a little bit but I hate putting my face under water. Well done for doing this and coming so far. Once you’ve got over the scared feeling, there’s no going back. I’m so pleased for you Donna! Brilliant that you’re more confident in the water now, that will make swimming with the children so much easier. It sounds like a really impressive course, they got you doing everything really quickly. I might recommend it to my husband’s aunt who has tried swimming lessons on a few occasions but can’t get to grips with it at all. This is so nice of you Donna and totally unexpected. I am so glad you enjoyed the week and your enthusiasm to carry on is wonderful. Thanks so much for commenting Steve – I really had the best week and have now swam out of my depth and snorkelled with tropical fish and rays in Florida. It’s changed my life. Thanks so much!